March 07, 2015: HAL unveiled its own build of the Elbit Systems Skylark mini-UAS, announcing that it was close to entering negotiations shortly with the Indian Army and CRPF for supply of the hand-launched drone for over-the-hill surveillance and intelligence gathering. The Skylark payload consists of daylight CCD or optional FLIR for night operations. During operation, it sends real-time video to a portable ground station. Recovery involves a deep stall manoeuver, landing on a small inflatable cushion. It has a range of 20/40 km. HAL and Elbit Systems (who already have a joint venture HALBIT Systems). The Army has been in the market for hand-launched drones since at least 2007, publishing a requirement for 32 man-portable UAVs for "tactical, point-of-interest imaging and rapid action surveillance for ground forces". HAL is understood to have committed Rs 1,200 crore in 2014-15 to bring in new machinery and technology to design and prototype new UAVs. 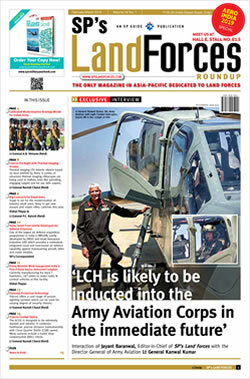 It has also been on the look-out for joint venture partners to develop and build UAVs to meet the large requirement within the country and in the region. 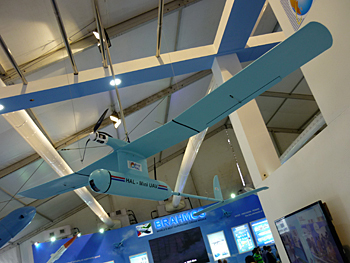 The Skylark UAS has been used in Gaza operations and elsewhere and praised for its modular construction, capable of being integrated with a slew of electro-optical or camera payloads. Elbit Systems has said the Skylark can take on Indian-developed sensor payloads too.